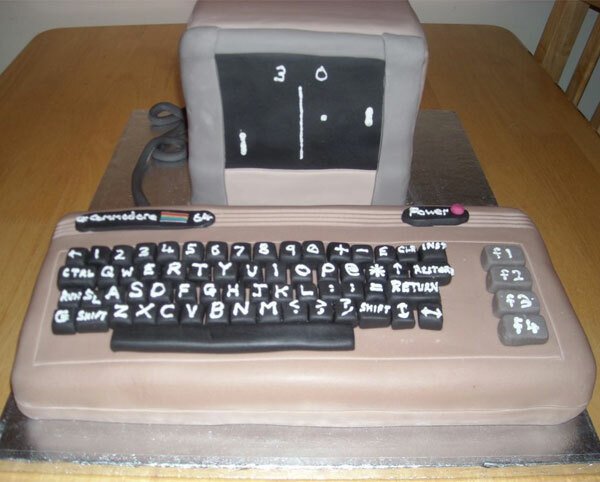 This retro designed cake is made in the shape of a Commodore C64. For some reason they show it playing a simple game of Pong although we all know there were more colours like that on the screen’s of the C64 games. That aside, it looks quite cool in my opinion. It was made for a bloke who lives here in the UK called Andy by his wife for his birthday and I have to say it looks amazingly tasty.